Batya Gur, whom The New York Times said was almost single-handedly responsible for making the detective novel a flourishing genre in Israeli letters, wrote her first crime novel at the age of 39. She had been a literary critic for Ha'aretz newspaper. 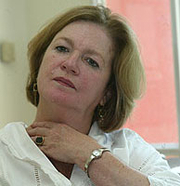 She studied Hebrew Literature and History at the Hebrew University and completed her MA in Comparative Literature. She taught literature in high school before moving to live in the United States for many years. Batya Gur is currently considered a "single author." If one or more works are by a distinct, homonymous authors, go ahead and split the author. Batya Gur is composed of 10 names. You can examine and separate out names.